January 2019 is here for team Bisca. Back in Summer (which seems a distant memory on this frosty day in North Yorkshire) we welcomed House & Garden journalist and photographer to our workshop. They each spent a day with us interviewing Richard and taking photographs of the team in action. 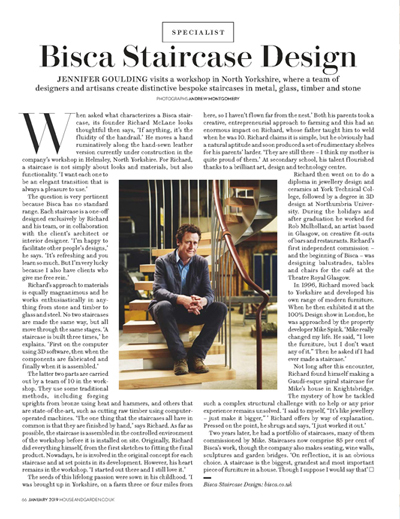 Today, we received our advance copy of House & Garden JANUARY 2019 and are extremely pleased with how the article has turned out. 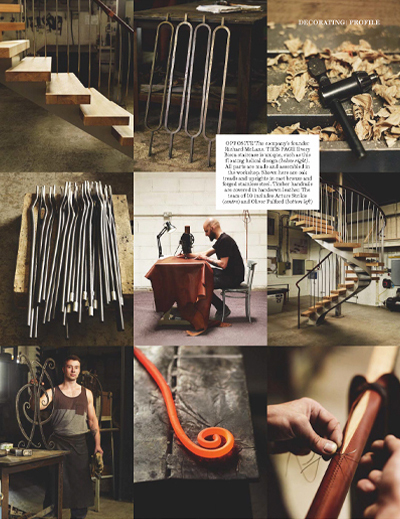 Both article and images capture the bespoke nature of our design and craftsmanship perfectly. It was a lot of effort on everyone’s part but the results speak for themselves. A fabulous way to end the year.